In order to lean out and have your abdominal muscles pop, you have to reduce your overall body fat and drop to a certain body fat percentage. When it comes down to abs, nutrition is key. 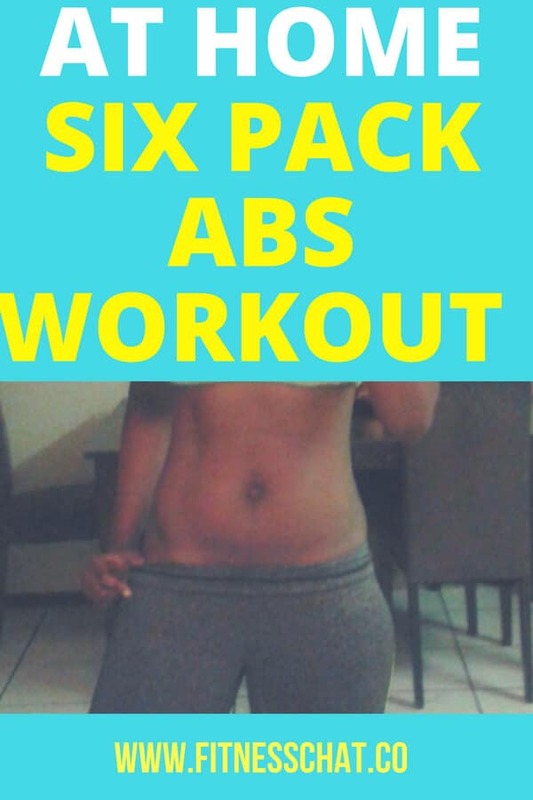 Getting a six-pack is mostly about what you eat (abs are made in the kitchen) and exercise is there to compliment the diet. Abdominal muscles are like any other muscle, you have to train and strengthen them to make them visible. And that is where training your core muscles in isolation comes in. 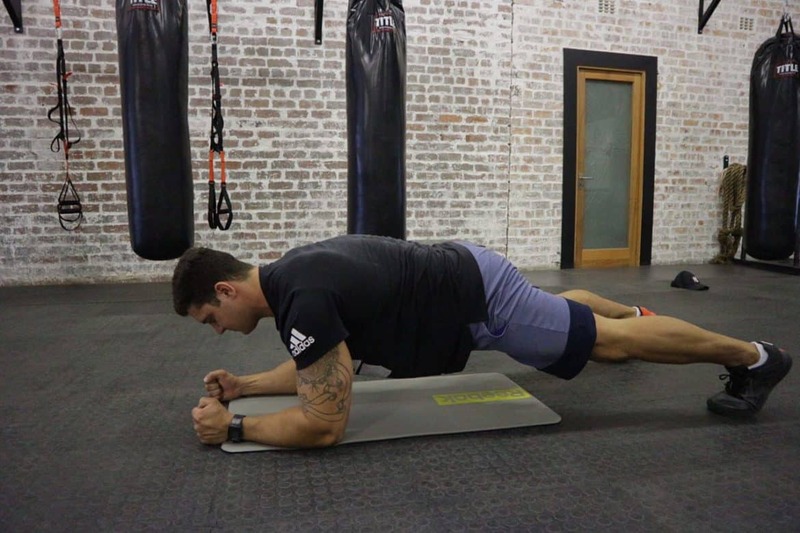 These are the best six pack abs workout that you can do even at home, created for Fitness Chat by personal trainer Bauke Hanekom. 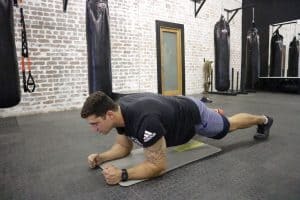 Get into push-up position on the floor. Bend your elbows 90 degrees and rest your weight on your forearms. Your elbows should be directly beneath your shoulders, and your body should form a straight line from your head to your feet. Hold the position for as long as you can. Your goal should be to hold the plank for two minutes. Lie on your side with your legs straight out. Lift yourself up with your right forearm so your body forms a diagonal line. Place your left hand on your left hip. Squeeze your abs and hold for as long as you can. Lie with your back on the floor in a crunch position, your feet flat on the floor and hands underneath your head. Press your lower back into the floor and pull in your core to lift your feet. While keeping your knees together, bend your legs at a 90-degree angle. 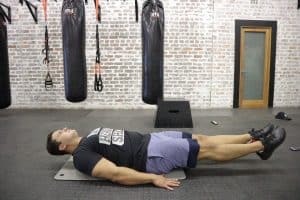 Squeezing your abs, pull your knees into your chest so that your tailbone lifts off of the ground, and simultaneously perform a traditional crunch, raising your shoulder blades off of the floor. Focus on using your abs, not your hands, to lift your head and shoulders. Slowly lower your shoulders, and legs to return to the starting position. Stop when your feet are just above the floor. Repeat the movement, making sure not to use momentum to power your next rep. Lie flat on your back on the floor with your arms by your sides and your palms facing down. Extend your legs out with a slight bend in your knees. Lift your heels about 6 inches off the floor. 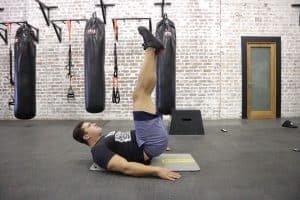 Make small, rapid up and down scissor-like movements with your legs, while focusing on having your core do all the work and keeping your abs constantly engaged throughout the exercise. Lie with your back flat on the floor, with your legs vertically up, forming a 90-degree angle with your upper body. Arms by your side, palms facing down. Keep your head and neck relaxed and your knees slightly bent. 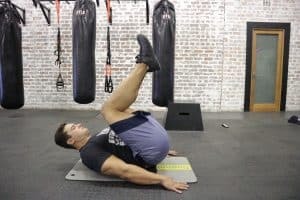 Focus on your abdominals and slowly raise your hips upward about ten centimetres above the floor and then bring them back to their initial position. 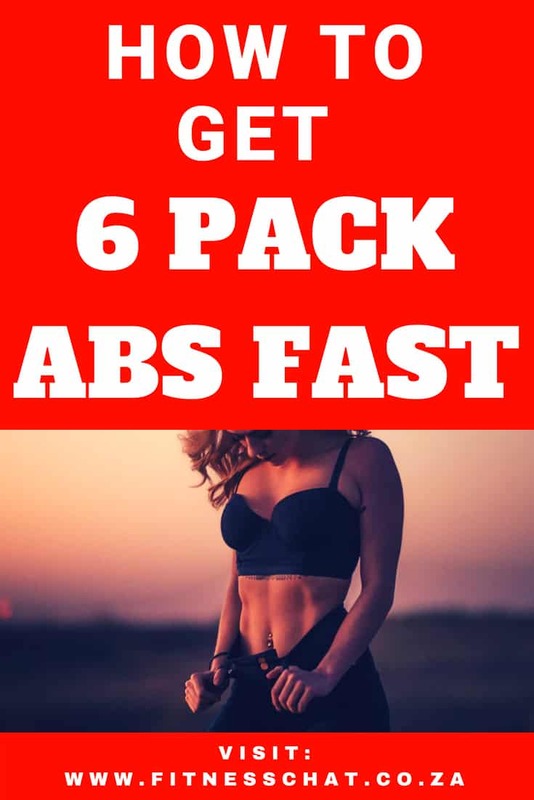 So, while these may be the best ab exercises to get a six-pack or flat tummy, doing them alone will not get you the results you may be after. Like I said earlier, you have to sort out your nutrition first. 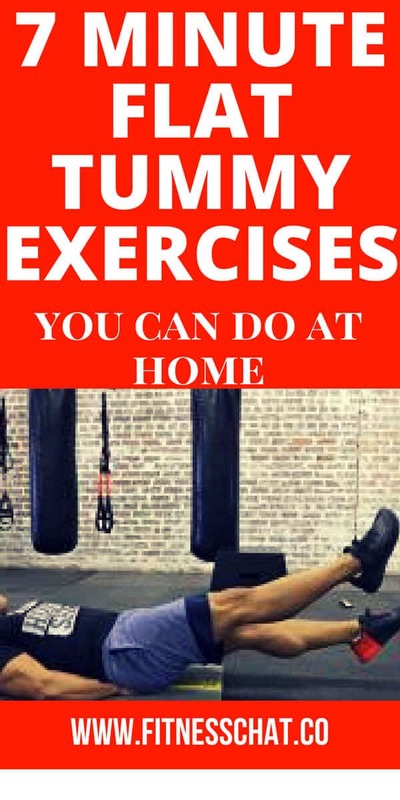 Combine these workouts with cardio, weightlifting or HIIT and you will be soon seeing tremendous results. I know what I’ll be doing during nap time lol. Can’t wait to try the reverse crunches! Haha try planking for two minutes Kimberly! Love seeing your posts! Getting me in the right mindset. Only a few months until summer!